The Dyke is one of those great rides that becomes very special in the fall. The towering mantle of aspen are something you won’t soon forget. But green or golden, the Dyke is one great ride. 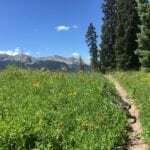 The trail is usually in great shape and the last downhill is always one to remember. As with a lot of rides around here, there are any number of ways to ride The Dyke. You can ride this one from town if you’re feeling fit. 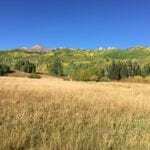 If you’re short on time or just don’t want to mess with the road, drive toward Kebler Pass to the junction with the Irwin Lake Road. Park there and ride toward Irwin Lake Campground, staying left at the split. Ride past the lake and keep bearing left at road intersections. Wind around and climb up to a sign for The Dyke Trailhead. Stay left on this doubletrack and ride out to a small turnaround and a sign for The Dyke Trail. This first part of the singletrack is a ripper! Watch out for a few surprise creek crossings and some technical sections. Otherwise, enjoy the romp through the forest. The trail weaves around the contours before climbing up and over The Dyke, which is a very distinct rib of rock at the top of a set of lung blowing climbs. Enjoy the aspen and the views through them. You’ll be staring straight up at the Upper Dyke and the Ruby/Owen range. 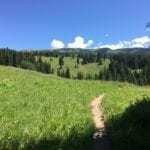 On the left at the top is a short trail to a great viewpoint and lunch spot. From here get ready for a great finish! Hang on for a terrific downhill through what must be some of the most beautiful aspens around. If you picked the right day, the light filtering through a golden canopy fifty feet up will seem surreal as you blow through it leaving a dust cloud of aspen leaves. Make a sharp left where a sign points right to the wilderness area. (If you’re looking for a truly unforgettable diversion this time of year, stash your bike and take a hike into Dark Canyon). This turn is right after a flat creek crossing in the dark woods. Continue with the ride and eventually come out in a saddle and parking area at the Dark Canyon trailhead. Turn left down the doubletrack and a quarter of a mile later, you’ll hit Kebler Pass Road. Turn left and ride up and over to where your vehicle is waiting for you at Horse Ranch Park. 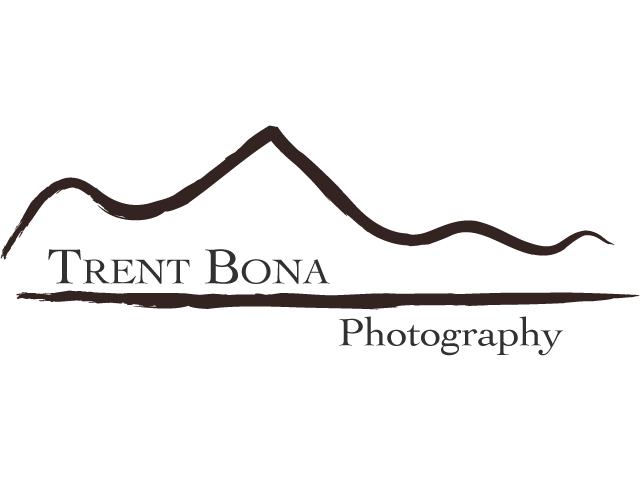 Trent Bona is an international commercial photographer and cinematographer based in Colorado, USA. From imaging the heights of luxury to capturing the most daring outdoor adventures, Trent's repertoire is diverse and his list of industry leading clients is extensive.